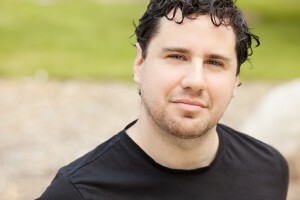 Jonathan Russ is staying very busy working on a short opera through NYU’s Graduate Musical Theater Writing and American Opera Projects, to be premiered on May 8 in Fort Greene Park with libretto by Lane Dombois. As well as this new opera, “The Ruins of Old Nalanda” was premiered on February 25 at Boston Conservatory and two short piano pieces are being premiered at the National Opera Center in New York City. On February 25, “The Ruins Of Old Nalanda” for violin and marimba was premiered by Marimolin (Sharan Levanthal, violin, and Nancy Zeltsman, marimba) at Boston Conservatory. This event featured works by Jim Dalton, Kevin Joest, John McDonald, John Murphree, Jonathan Russ, Mischa Salkind-Pearl, David Vess and Andy Vores. On March 12 in New York City, composer-in-residence Jonathan Russ will be performed by flutist Tia Roper, soprano Donna Balson and pianist Marilyn Lehman. Two short piano pieces are being premiered at the National Opera Center. These are the first two pieces in a planned book. Tickets for the March 12 event are $20. For more information, call 516-586-3433 or visit http://www.operaamerica.org/Applications/Calendar/index2.aspx.